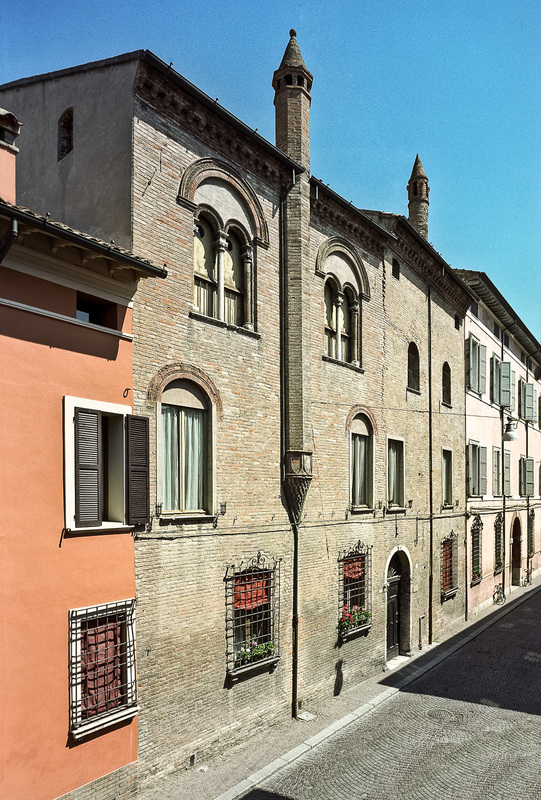 It is made up of two adjacent Venetian buildings. One preserves the external flue of the chimney on the facade and on the second floor the mullioned windows with stone capitals, little columns and arches made of terracotta in Renaissance style. In the inside yard we can find the old well and on the ground floor an ancient roof. On the first floor there is a large living room illuminated by the street and garden, it remakes the “portego” i.e. the portico of the Venetian dwellings. The house belonged to the noble Maioli family from Faenza and then to the Stanghellini.